Inspired by the Art Deco era, the Forest Coffee Table works beautifully with Rugiano’s sophisticated living room collection. Featuring striking cylindrical legs in polished bronze or black chrome, the low table is given a modern look by this unexpected design detail. Hand-crafted in Rugiano’s Milan studios, each piece can be made bespoke to your requirements. 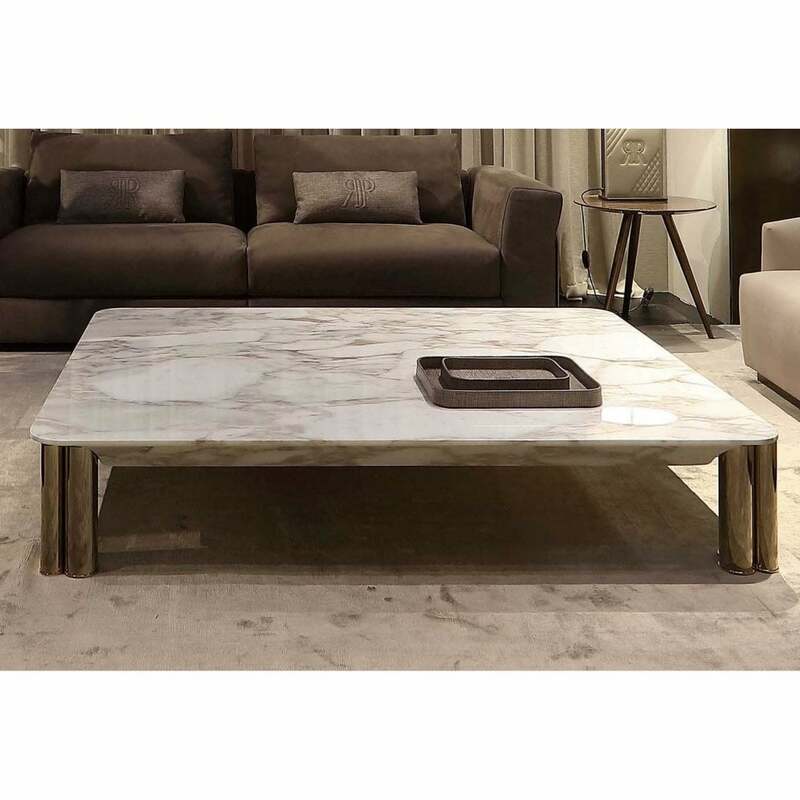 Complete your coffee table with a top made from high-quality materials including calacatta marble, Pelle leather and ebony wood. We love the combination of polished bronze with white marble. Style with the Vogue Sofa in cream printed leather to create a timeless and elegant look that exudes Italian glamour. Available in 7 bespoke sizes, make an enquiry for more information.